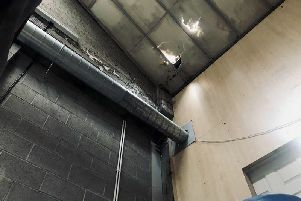 Detectives from the Reactive and Organised Crime Branch have arrested two men in connection with five cannabis factories discovered in Northern Ireland within the past 12 months. The men aged 33yrs and 34yrs were arrested in Newry yesterday evening and Portadown this morning. “We have already charged a number of people in connection with the discoveries. Criminals should be aware that we are not satisfied simply seizing their drugs and arresting whoever we find tending to the plants. We conduct thorough investigations in our efforts to identify everyone involved - to ensure we ultimately have the right people before the courts”.